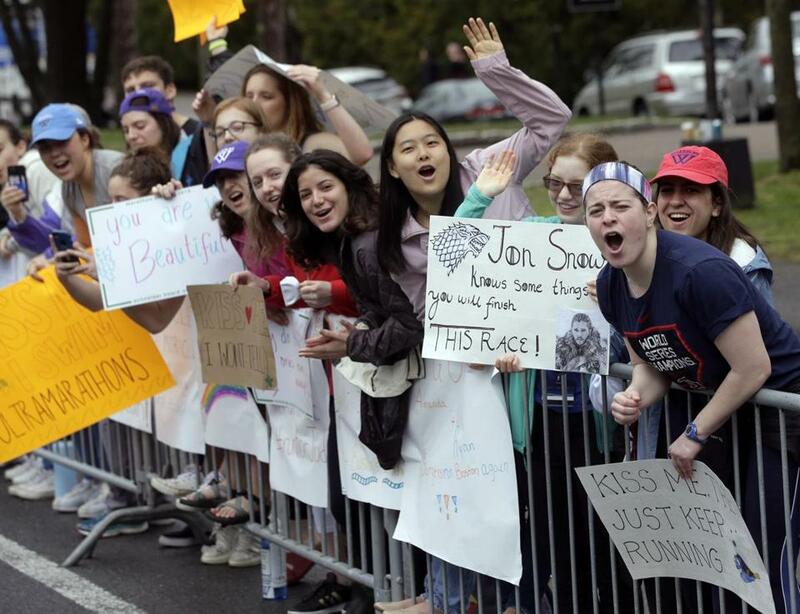 Wellesley College students cheered on athletes in the 2019 Boston Marathon with signs referring to Sunday night’s “Game of Thrones” season 8 premiere. 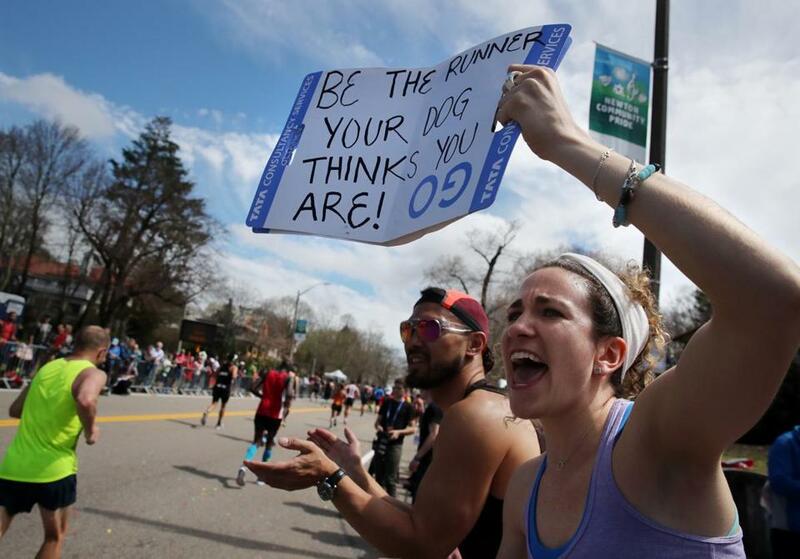 Here’s a look at some of the best signs people (and pups) were holding. “Run like the IRS is behind you,” one sign read. 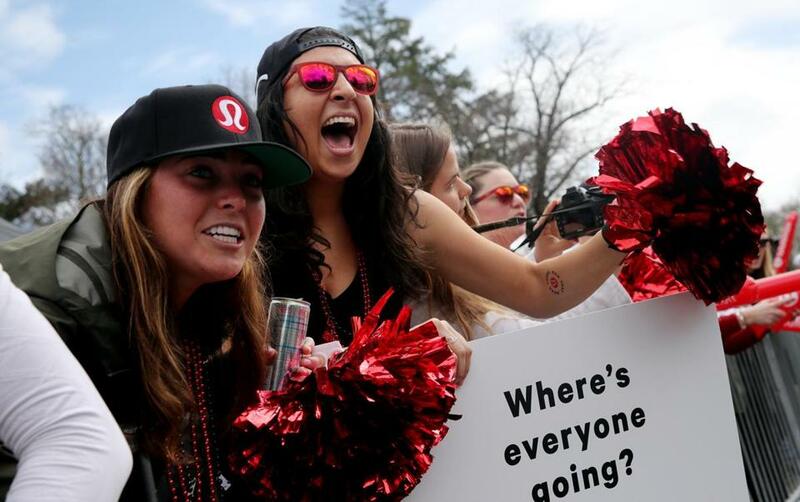 Marathon Monday this year falls on April 15, also known as Tax Day. 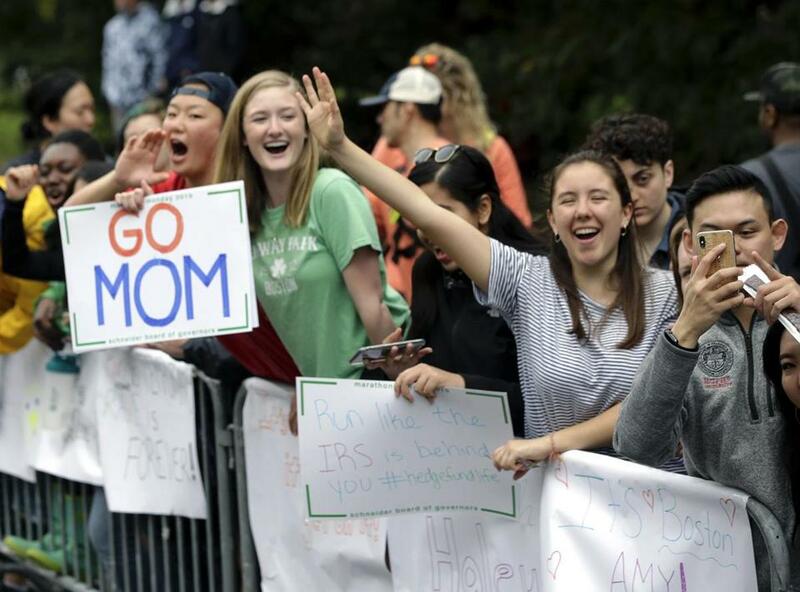 Spectators near Wellesley College had a glut of cheeky signs. 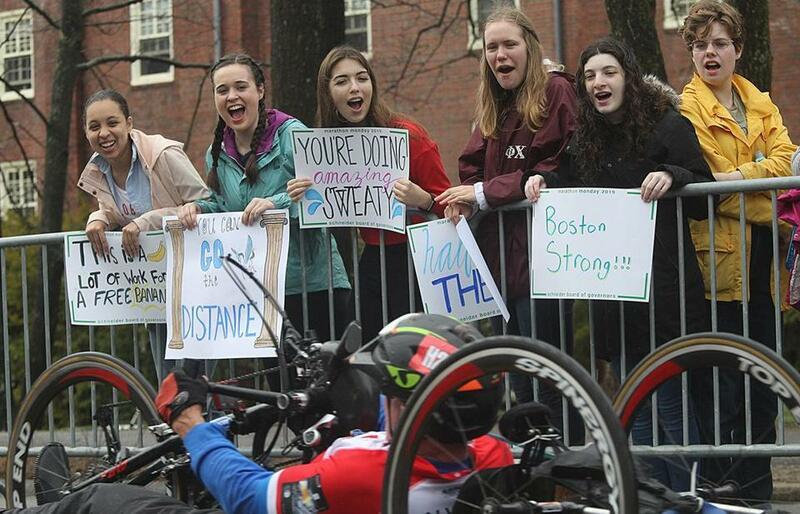 Tierney Spencer, left, and Makenzie Mitchell cheered on racers on Heartbreak Hill. 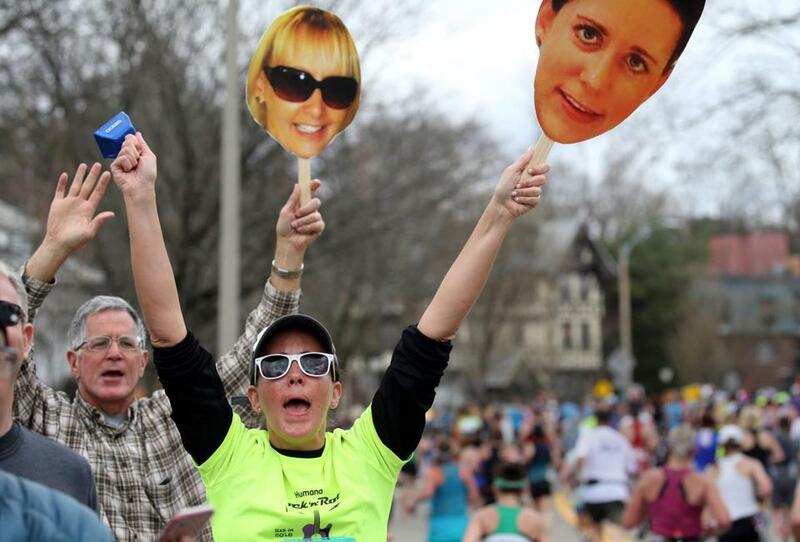 Vince Pellettieri and his daughter, Anne, looked for his wife, Kathy, and his other daughter, Amy, who were running the Boston Marathon. 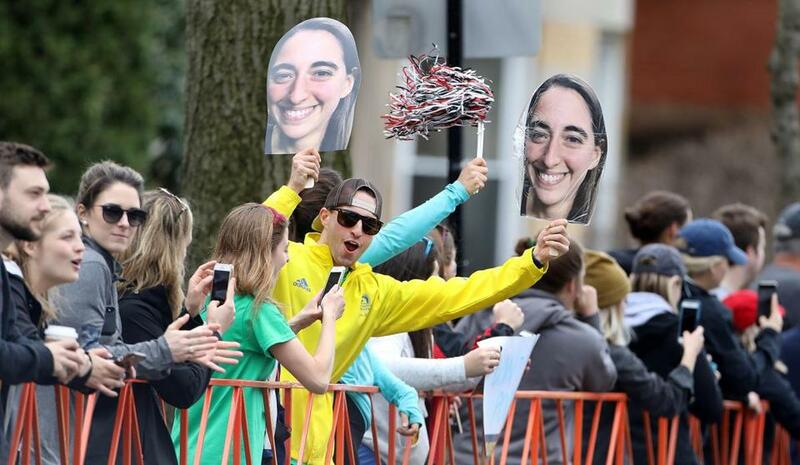 Fans held up photos of a runner’s face. 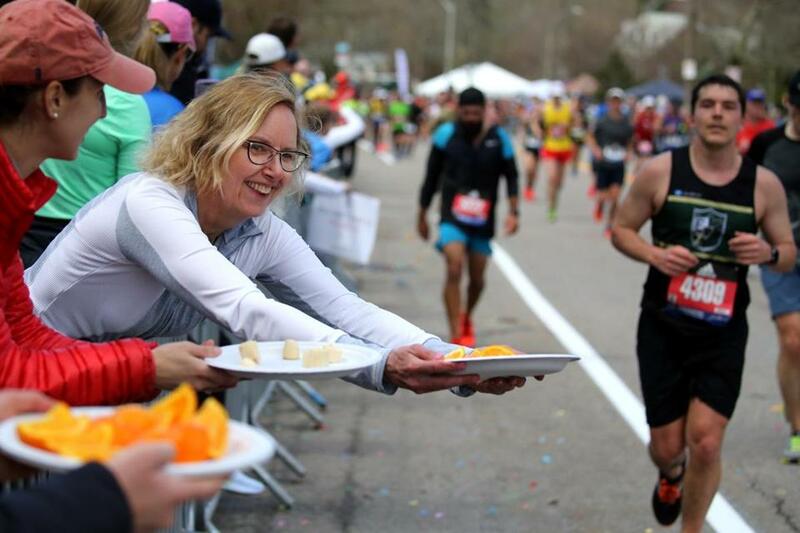 OK — so, this isn’t a sign, but Susan Whoriskey was offering oranges to runners on Heartbreak Hill. Kelty Campbell of Toronto cheered on racers at Heartbreak Hill. One spectator decided to take a jab at the T.
Some people were making signs at a pop-up print-on-demand sign cart in Coolidge Corner. One fan of actor Jared Padalecki and his wife, actress Genevieve Padalecki, was excited to cheer the pair on. One spectator referenced pop star Britney Spears in her pithy sign. Don’t forget, spectators work hard too. 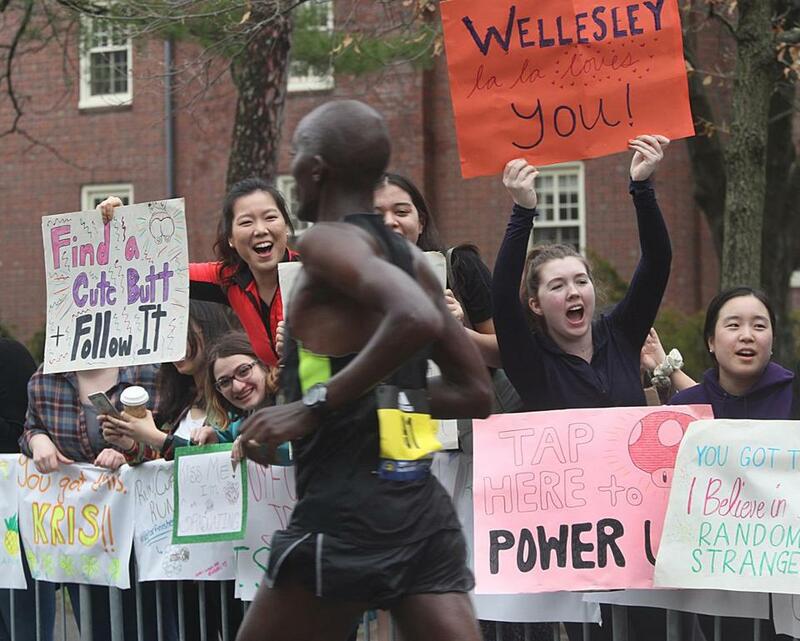 Wellesley students had a good showing on Monday, including some 21st-century twists on the classic “Kiss Me” sign. And, of course, who could forget about Spencer the flag-waving golden retriever? Another pup also encouraged athletes to pet him.